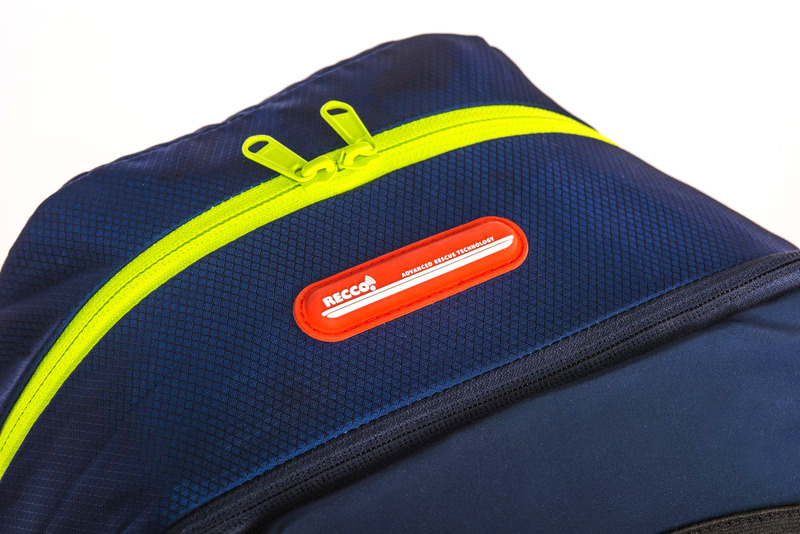 Skywalk is the first manufacturer to integrate RECCO into its harnesses. Often it is the view beyond the horizon that leads to significant product improvements. 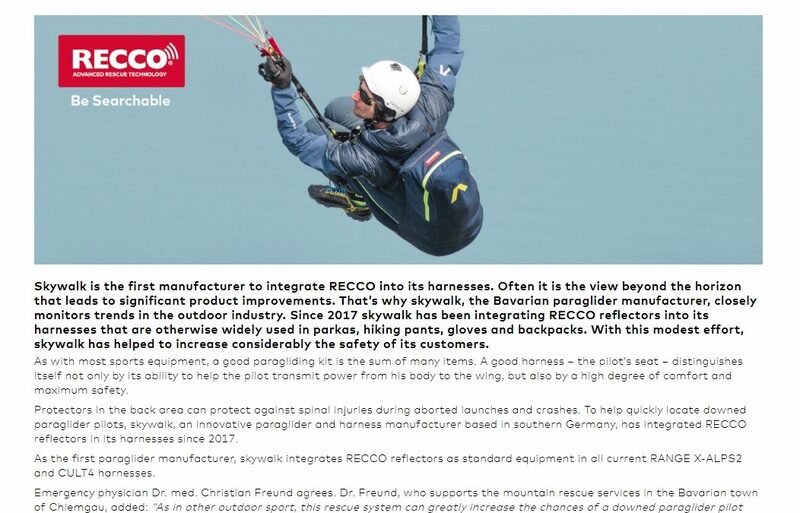 That’s why skywalk, the Bavarian paraglider manufacturer, closely monitors trends in the outdoor industry. 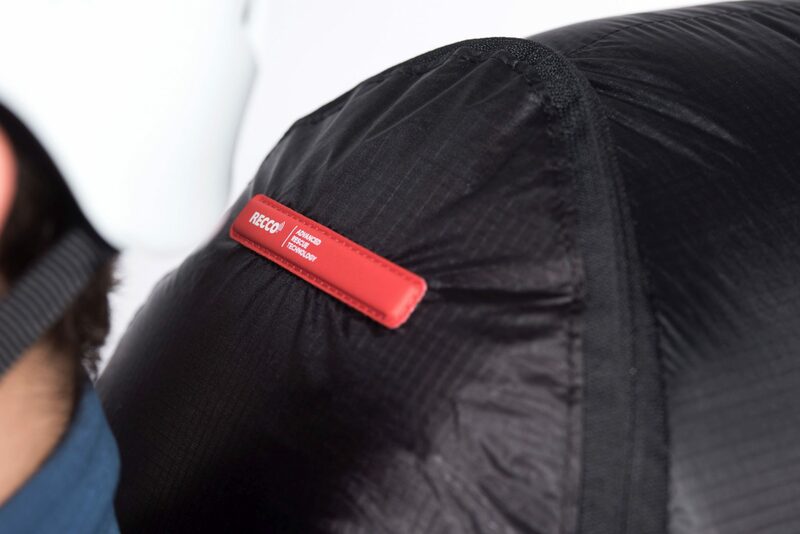 Since 2017 skywalk has been integrating RECCO reflectors into its harnesses (RANGE X-ALPS2, CULT4 and coming products) that are otherwise widely used in parkas, hiking pants, gloves and backpacks. With this modest effort, skywalk has helped to increase considerably the safety of its customers.